Today, I was expanding the length of my newest story. 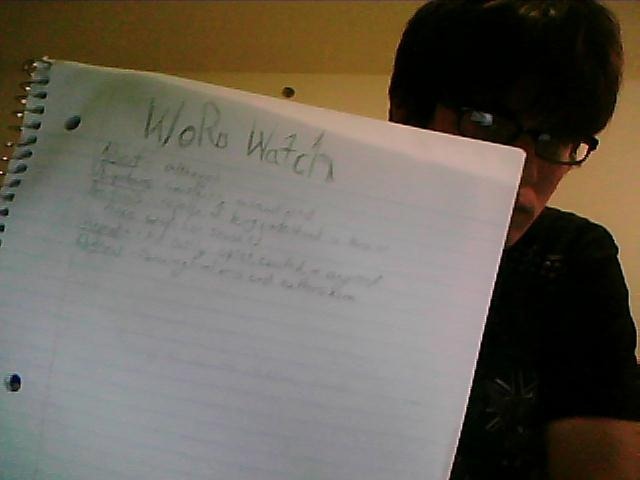 As I was doing this, I realized I have a true passion for words. I really, really love words. The way words flow together to form a sentence, or a paragraph, is purely magnificent. To me, it’s magical. It truly is an art. A beautiful form of art created by the wisest of men (or women). I am infinitely amazed about how unfathomable the possibilities of words are. That sentence in itself was difficult to create. I’m still debating whether or not it even made sense. But that’s not the point. If you’ll notice, I used the word “create” to describe what I did when I put the words together. Because when you write, whether it’s a sentence or a novel, it’s your own creation. The power you possess is truly an incredible thing. It’s actually beyond comprehension. However, while that is, if I can say so myself, a great introduction, it’s not the main topic of this neglected blog. I say neglected, because there is a slight (roughly 140%) chance that this will go unread by everybody except those who click on the link on my Facebook page. Basically, if you do happen to stumble upon this miserable excuse for a blog, and you know of a word you find note-worthy, I would love to see it. If you would, just leave it as a comment with the word and then the definition. It’d be appreciated greatly.